I have a Philippine passport, and as you all know, it can be pretty difficult to travel with it. But hey, I made it to the 7th and the Most Remote Continent of the World!! And so can you!! 1. 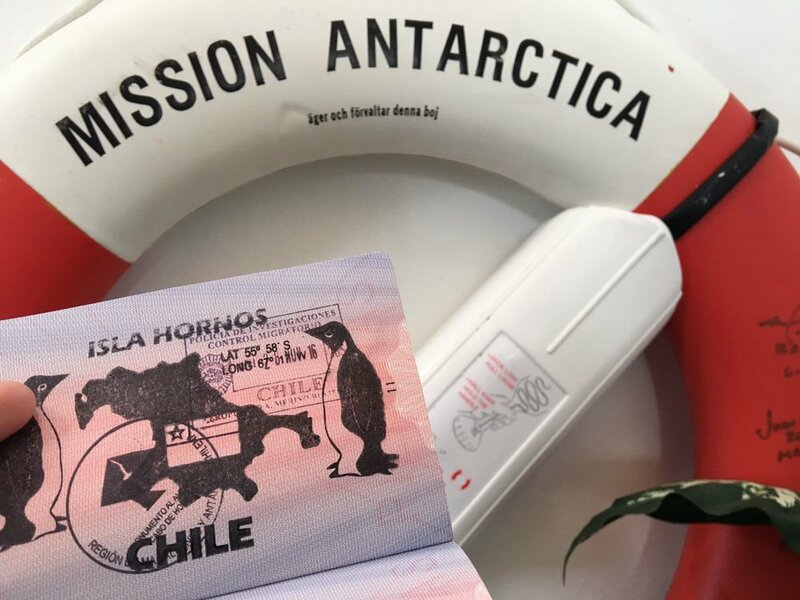 Do Filipinos need a visa to visit Antarctica? 2. How can you travel from Manila, Philippines to Antarctica? 3. How much is the Antarctica cruise? How can I find the best cruise? 4. What can you SEE and EXPERIENCE in Antarctica? 5. When is the best time to travel to Antarctica? 5. Can you live or work in Antarctica? 6. How to find the best or cheap deals to Antarctica? 7. What to pack on your Antarctica cruise? From a Female Traveler point of view! 8. Also other Frequently Asked Questions about Antarctica. 1. Do Filipinos need a visa to Antarctica? Just so you know, Antarctica is not owned by any country. Hence, no visa is required. But the tricky part is the visa requirement for the country where your cruise/chartered flight will be coming from. This is an important factor to consider in booking your cruise. Option A: Fly from Manila to Buenos Aires, Argentina via Emirates, Etihad, KLM, Cathay Pacific, Qatar Airways, or Korean Air. From there, go to Ushuaia, Argentina and take a cruise ship to Antarctica. This is the most popular gateway for 90% of the visitors. It’s the fastest route too! Sometimes, the tour companies already provide the flight from Buenos Aires to Ushuaia. Option B: Fly from Manila to Chile via Etihad, Japan Airlines, Ana, Air Canada, Qatar Airways, KLM, and Korean Air. You may book your cruise from there. Option C: Book a flight from Manila to New Zealand, then take a cruise from there. The journey can be pretty long and rough, but it still is magnificent as it is. Option D: Fly from Manila to Chile, and take a chartered plane to Antarctica from there. But mind you, this can be veryyyy expensive and flight cancellations happen often due to bad weather! 3. How much is the Antarctica cruise? It actually depends on several factors: your port of embarkation, your choice of cruise line, the duration of your trip, your cabin of choice, your chosen points of disembarkation, among many others. The range could be from 6,000 to 20,000 USD! It could be much cheaper if you choose to share a cabin with some other people. Also, watch out for some promotions from your chosen Cruise Ship too. Sometimes, they give up to 60% discount! Seeing the continent alone is already a precious experience. I was crying when we landed there. I got really emotional in realizing that all our dreams are coming true! Well aside from seeing chunks of ice, you can get up close and personal with penguins and seals! It’s also lovely to take a dip in Antarctica's literally ice cold water! Jonathan and I were crazy enough to do and it’s really freezing cold that you feel numb. But hey, that’s just the tip of the iceberg. To give you an even better idea of what it is to see and experience there, here's our Day-to-Day Itinerary In Antartica While On Our Honeymoon Cruise With Hurtigruten. Definitely! In fact, a lot of scientists, researchers, project managers, mobile plant technicians and medical practitioners are based there but not for a very long time. You can also work as a janitor, salesman, cook, or dishwasher at some research centers and government establishments. Actually, there a lot of cool jobs in Antarctica (ever heard of dodging penguins?!)! 6. How can I find the best or cheap deals to Antarctica? Early bird rates are very common. But the best time to book it is at least 2 weeks before departure as they give bigger discounts, especially when the boat capacity doesn’t get filled up. But remember that this doesn’t happen much in peak seasons (November-March). So if you’re planning to go around that time, it’s best to book early. Anyway, for you to fully understand, we have written everything down about How To Find The Best Antarctica Cruise on a separate post. Since you’re going to the most remote and the coldest place on earth, it’s very important to wrap yourself up layer by layer. So don’t forget to bring the following: Parka, Rubber Boots, Waterproof Pants (this is a must! ), Waterproof and Windproof Jacket, Windbreaker, Everyday Cruise Wear, Hat, Gloves, Socks (lots of it! ), and Scarves. Since some of us don’t get our monthly visitors regularly, make sure to pack your sanitary napkins too because sometimes, you’ll never really know! Also bring some medications for dysmenorrhea. Some gears like boots and parka can be rented from your Cruise Ship, some provide it for free, so read all the inclusions before booking! Oftentimes, it’s better to just rent them than buying it, especially when you’re just going to use it once. Oh, and make sure to pack your cameras and medications for motion sickness! Are children allowed to go on a cruise to Antarctica? Yes. But not really recommended because it’s really cold! Packing your stuff and wrapping yourself in layers is pretty hard already. So doing it for one or more persons, all the more children, could be very tiring. Do they have electricity in Antarctica? Yes. Every base has sufficient electricity. Do I need vaccines or medications to travel to Antarctica? Vaccines, no. But you can ask your doctor for a medication for seasickness as the waves can really be rough. Is it okay to go on this cruise alone? Definitely! Just tell your tour agency and they will definitely find another solo traveler with the same gender for you to share a cabin with! Is internet service available while on board? Generally, no. But some cruise lines offer a web access via satellite for a fee. In fact, Hurtigruten gave us an access to the internet that’s why I was able to do a live video and upload photos on board! Do I need a special insurance to go on board? Yes! ALL vessel companies require you to have insurance that covers air lift evacuation in case of a medical emergency, without this they will refuse you on board. Most Antarctica operators will require you to have emergency evacuation, repatriation and medical cover up to US$200,000. This can be easily arranged for a fee with your Tour Operator.